At theGYMkc Boxing Class, we’ve designed a class for people at all levels. Whether you've never put on a pair of gloves before or you have years of experience, there's a place for YOU. This class is a great way to get in shape, keep active, build camaraderie, and gain self-confidence. Boxing Class allows members of all fitness levels and abilities to benefit in a safe, non-contact environment. New members are always welcomed by instructors and existing members. It's a great fitness class and a lot of fun. There's no expectation, pressure, or comparisons. Members work based on their capabilities and skill level ... with individual progression being the goal. Boxing Class works by moving your body in all planes of motion while continuously changing the routine as you progress through the workout. Boxing has proven that anyone at any level of fitness, skill, or ability can gain great physical and emotional benefit. 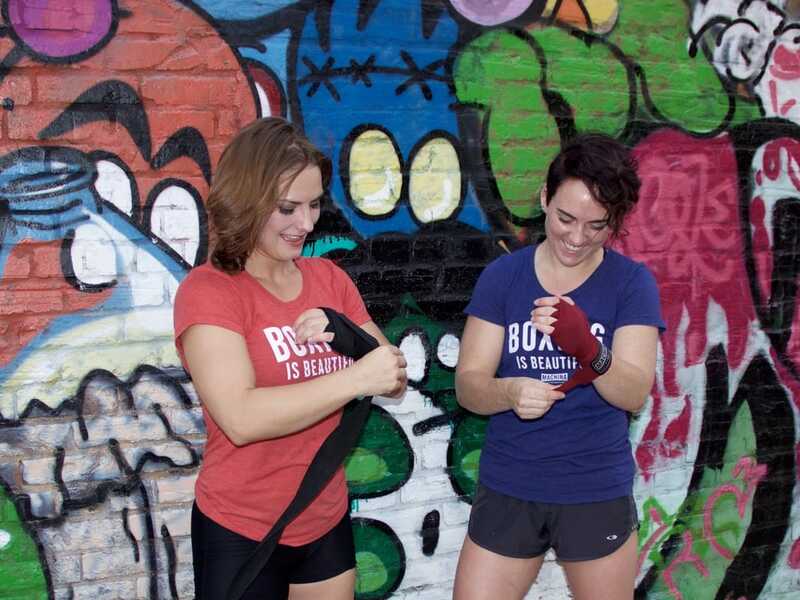 *Gloves and wraps are provided for your 1st class. It is recommended [should you want to come back regularly] that each member provides his/her own hand wraps and gloves ... for both safety and sanitary reasons. We are happy to assist you with this. Just ask the instructor. Thanks for checking out the boxing page. We hope you join us for class. It's part of your membership! ​theGYMkc is an 18 years old and over facility. * Bring a pair of boxing gloves. We have some to loan, but you'll want your own pair.